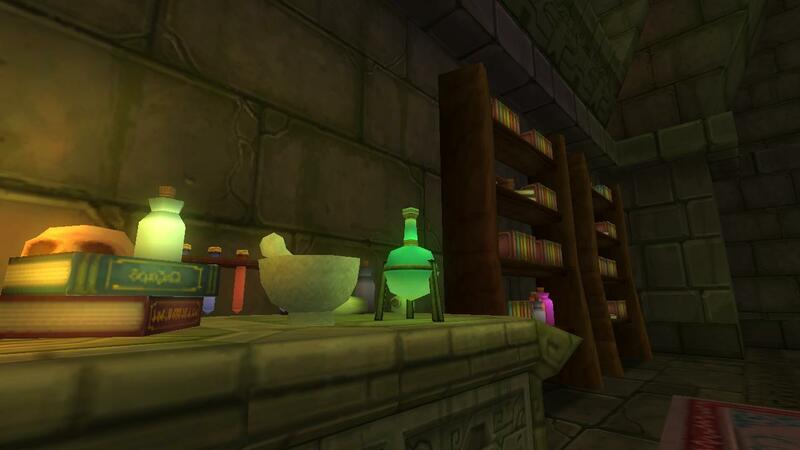 It’s Arrrgust in Pirate101, and Ditto has a Treasure Hunt contest!!! Aye Matey’s, it be Arrrgust in The Spiral, time to celebrate with fun, Yum, and lots of treasure!! To celebrate, Captain Ditto has hidden a great bounty somewhere in The Spiral, and he’s giving out clues to where he hid it in this all-new Arrrgust contest. This is something Ditto hasn’t tried before – I have five clues to where treasure is hidden (all are screenshots and written clues), and I will post a new clue every TWO days (so today, Wednesday, Friday, Sunday, then next Tuesday for the final clue). I will give everyone until Friday, 8/29 at midnight EST to get in your answers, and I’ll post the winners on Saturday 8/30. As an initial hint, the clues all lead on a specific path – as you follow them they’ll lead you in a specific direction, they won’t jump around randomly. Think about that as you try to figure out the clues. What’s the bounty? CROWNS!! That’s right – lots and lots of crowns! The grand prize is 10,000 crowns, and that will be given ONLY to a person who gets all five of the clues right (via random draw from the pool of folks who got all 5 correct) The next prize is 5,000 crowns, and there will be five winners chosen – you have to get at least three of the clues correct to be entered into that pool. Finally, the remaining entries will be entered in to win 1000 crowns each in a random draw (It doesn’t matter if you got any right). After all the clues are given (or before, if you don’t care about the top prizes) send an email to dittopirate@gmail.com with the topic ‘Ditto’s Treasure Hunt’ and all the answers to the clues, numbered. Also, please remember to include your pirate name. Each of the answers needs to be precise and give a location like ‘Captain Avery’s Court’ and not just ‘Skull Island’. And now, onto the first clue! Your journey begins among potions and ancient tomes, and a mysterious figure speaks of treasure long buried. Your journey will be long, she says, but the bounty is well worth it!! Clue 1 – Where am I? As always, only one entry per person please, good luck, and have fun!!! This entry was posted on August 18, 2014 by dittowizard. It was filed under Contest, Pirate101 . You should wait until you have all five clues. Please do NOT try to put the answers here in the comments, OK? The only way to submit a contest entry is to follow the rules and send an email, as directed above, with answers for all five clues (once all five clues have been given out). Feel free to send me questions if it is unclear. Will free players be able to identify most (at least 3) of these locations or is this only for people with access to the entire game? Great question Scarlet – I ‘think’ all the clues can be found in free areas. You definitely do not have to go through any storm gates to find all five, I can say that for certain. Are the crowns good for pirate101 and wizard101 or just pirate101? The crowns are for Pirate101, Jacob. What is meant by “where am I” in the first clue ? Do we need to say where the place in the picture is? How can I enter this contest? There will be five clues given over the next week – you need to tell me the location of each to enter. Is there five clues above or r you going to keep posting clues? She’s just going to post them as the week goes on. Is this In p101 and w101? No Amber, this contest is related to Pirate101 Arrrgust event. how do u enter again?? It’s all detailed above, Joshua. Email the answers to all the hints once you have them all. I’ll add a new hint page every other day and add a link on this page. I know you been asked if the clues are in free areas but do we need to expand our search outside of skull Island skyways? You do not need to go through any storm gates (meaning nothing in Monquista, Cool Ranch, etc…) – that’s all I’ll say. The written clues should give some further help. Yes but not all of Skull Island is open to Free Play. For instance you can’t go into Traitor’s Cave on Blood Shoals unless you are a paid member, nor can you go to Flotsom or Tradewind Skyways. Believe me I tried before I became a paid member. How about if we don’t know exactly where it is because a name doesn’t show up could we say for example. “the blue house to the left if you go straight off skull island”? Yes – be as specific as you can, that’s fine. ou can name the sub area, like a cave or building or dungeon name. Where is clue #5 posted at can’t find it anywhere 😦 did I miss something you said it would be posted on Tuesday?